Occasionally we need to take a break from Nokia dedicated news and take a look at what else is happening in the mobile world; after all ignoring the competition is partially what got Nokia in the hole it’s been in for the past few years. 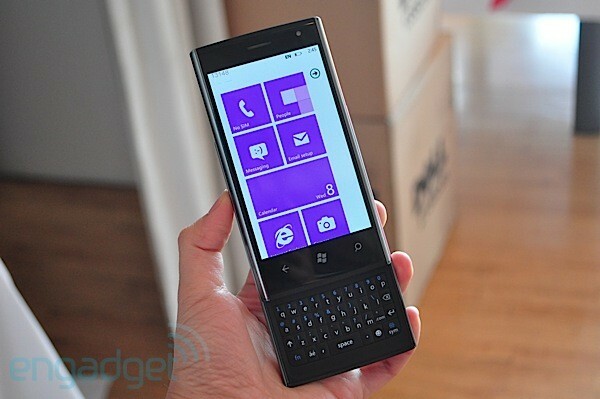 So hears a mini-roundup of related news to both Nokia and the WP ecosystem. ”no plans to build out Windows apps” and that the company is “very careful about where we invest and will go where the users are but they are not on Windows Phone or Windows 8. This is coming from the same people who had dedicated apps for everything from Gmail to Google reader on S60 and S^3, so it’s quite possible that boycotting Windows Phone is a way to eliminate a threat before it get’s out of control? personally I don’t use any Google apps in the first place (Skydrive for storage since it syncs to my Windows 8 PC automatically, Default Mail for Gmail – It does all I could possibly ask for while looking awesome, Metrotube for YouTube and most importantly Office, which kicks Google Doc’s @$$). However there are many people too deep into Google Drive, Docs and Gtalk to climb out of the Google ecosystem unscathed; so even though this is a blow for WP I doubt it’s going to make a difference, seeing how these apps have never been available to WP in the first place. Dell Drops out of the Smartphone Race. Dell was one of the first adopters to Windows Phone, releasing the ill fated Dell Venu Pro- which FYI is the only QWERTY WP out there (Which admittedly looks pretty awesome); however they never bothered releasing any new devices in the past year or so. In a statement yesterday Dell said that they are leaving the Smartphone industry (Android and Windows Phone both) and seeking greener pastures else-where (specifically the Windows Tablet market). Completely forgetting that Windows Phone existed Dell cited their reason as being “unable to build a business” where it’s forced to compete against Amazon and Google. Of course this doesn’t really have a major effect on Nokia’s Marketshare of Windows Phone seeing how Dell’s share of the pie is almost non-existent (I can’t even find a number anywhere). But on the other hand it does cut down the numbers of serious players in the WP race to Nokia and HTC (as well as Huawei who are supposedly planning something big for Windows Phone). Samsung ATIV S Finally Goes on Sale. I know we thought Nokia had dropped the ball on it’s WP8 availability, by announcing them so late into Q4 with an even later release date; however Samsung have been even worse off. Announcing their WP8 flagship the ATIV S almost two weeks before Nokia and only just making them available earlier this week, and that’s only in Canada! At first it looked as if Samsung was going to be a real competitor to Nokia in the WP8 arena, but it seems that they really don’t care; which is in all honesty.. good. The price of the ATVI S is another win for Nokia and the 920 as it’s being priced at $600-$650 off contract (Vs. $450 for the 920) and $30-$100 on contract (Vs. $.01-$50 for the 920). If all goes well Samsung might attract some attention to the WP8 platform, but those purchases might end up translating into Lumias rather than ATVI. So maybe it’s not too late for Nokia to release a WP phablet, just as long as they find a viable use of the extra real estate, other than larger tiles. BB10 Gets January Unveiling Date, No Whatsapp Support Though. The race for the 3rd major ecosystem has been pitted out between BBOS and WP for a while now, with most predictions claiming that WP will clinch #3 by the end of 2012 (provided the world doesn’t end next week). However RIM’s new OS BB10 is set to be unveiled at the start of 2013, so only time will tell what they have in stock; and how much of they threat they’ll post to WP’s already tiny market share. But in a blow against BB10 Whatsapp have gone on record stating that they do not plan on making an app for BB10, but then again that’s what they said about Meego; and look what happened (hint: Wazapp).